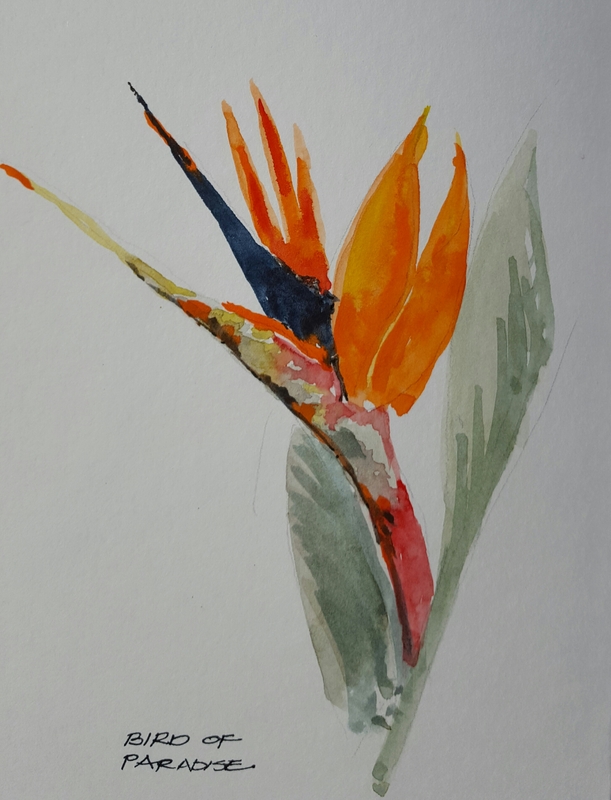 The Bird of Paradise flower always reminds me of Florida and growing up in Southern California. Such a beautiful flower. Holbein watercolors in a Stillman and Birn sketchbook.